« Even good years have bad movies. Or vice-versa. Someone is going to be very excited about this news. Sometime later this year, LoveHKFilm.com and Damn You, Kozo will run a Reader Vote for The Best 100 Hong Kong Films EVER. It’s going to be the companion piece to the previous two Reader Votes for Top 50 Hong Kong Movies of the Aughts and the Top 100 Hong Kong Movies of the Nineties, and I have no doubt that it will be completely biased and not actually reflect the 100 Best Hong Kong Movies ever made. However, it should be fun. Due to work, life, more work and more life, I figured that a Top Movies of the Eighties list would not be happening, but I changed my mind. After getting an email from a reader named Ryan, plus discussing it with some people near me, LoveHKFilm.com will attempt a reader vote dedicated to the Top 50 (or 100) Hong Kong Movies of the Eighties. The focus of this site is largely the 1980s and up, so running this reader vote will help to recognize some very key films that we always push, e.g., POLICE STORY, PEKING OPERA BLUES, plus it’ll give some love to fan faves like PROJECT A and later Shaw Brothers films. Also, running a Top Movies of the 80s vote will give me some practice before the big showdown that will be The Best Hong Kong Films EVER. Warming up is good, and I’m curious what type of turnout vote one will get. In previous votes, we had between 130-180 respondents, so if this one gets anywhere near 100, that would be amazing. I’m guessing closer to 50 is more likely, considering reader attrition, but you never know. Please note that the amount of response we get will determine if this is a Top 50 or a Top 100 list. If only a few people respond, we’ll still run this thing but with fewer films in the final list. Of course, if more people respond that means more votes, more movies and more representation. As such, if you want a better list of movies, please participate and ask your friends and enemies who are Hong Kong Cinema fans to do so too. No need to vote for award-winners or critical faves, just go with what you’ve seen and what you like. This is all in good fun, so I hope people have just that: fun. 1. Use the LoveHKFilm.com Contact Form to send a list of your top films from the years 1980-1989. 2. You may list either 10 or 20 films* on your vote, and order them with #1 being the top-rated film and #10 or #20 being at back of the pack. 3. Please print in the subject line of your email “TOP 80s MOVIES”. 4. It’s optional, but you can write a few sentences or words about your faves. We may end up using them when the results are published. 5. Send in your votes by end of day on February 29th. I’m not pushing the whole GMT, PST, EST thing so there’s some leeway. As long as I don’t get your vote on March 2nd, you’ll be fine. *NOTE: A ton of movies came out during the eighties, but you may not have seen that many. Or maybe you have. As a way to benefit both types of Hong Kong Cinema fans, you can list either 10 or 20 movies. Please note that this WILL make a difference for the points that your films get. If you vote for only 10, then #1 gets 10 points and #10 gets 1 point. However, if you vote for 20 films, then #1 gets 10 points, #2 gets 9.5 points, and so on. To illustrate, a #10 film gets 5.5 points, and #20 gets 0.5 points. Voting for 20 films means 1/2 point steps between each films, as opposed to the 1 point step between each film. Makes sense, right? Of course not! But either way, I’m sticking with this weird ranking system in hopes that it encourages people to list 20 movies, which means even more movies to consider. I hope. Now, which films qualify? This is totally easy because we’ll be doing things according to HK Cinemagic’s database. Simply head over to HK Cinemagic’s Movie Index and click the year you’re looking for. When the results come up, you can click the “HK” link so that it lists only HK films. Look at the list of films and pick away. That’s it. Yay! Results will be up sometime in March! Unless something terrible happens. You never know. 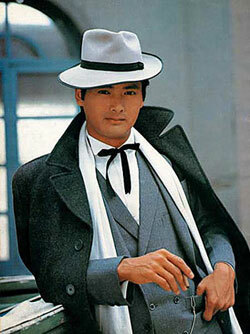 Oh, one more thing: a Top Hong Kong Movies of the Eighties reader vote guarantees lots and lots of Chow Yun-Fat. And who doesn’t want that? This entry was posted on Tuesday, February 7th, 2012 at 9:49 pm	and is filed under Top Hong Kong Movies of the 80s, Chow Yun-Fat. You can follow any responses to this entry through the RSS 2.0 feed. You can skip to the end and leave a response. Pinging is currently not allowed. Oh man, it’s gonna take me days just to narrow it down top my top 20. That’s why we give you until February 29th! I have to get my list done before I read any of the incoming votes. Though, glancing at them, I can see one film is already leading. Damn you Kozo and HKLovefilm. I watched quite a few of the 80s movies when I was small (in the 90s), but don’t know the name of most of them. This will be hard. 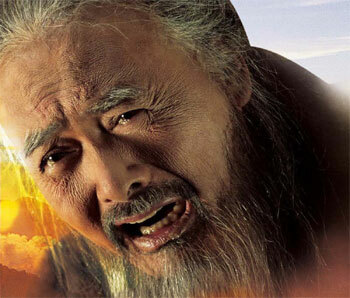 Anyway, I will probably send a small list in later, but if anyone knows the the name of the movie, where Stephen Chow gets his off chopped of near the beginning and had to work back for vengence of some sort, I’ll be glad to know. I’ve always wanted to watch it again but fail to identify the name of the movie. It could be in my list. Having taken part in the past two polls and fearing the ’80s would never air this is great news to be greeted with on a chance visit. Much time will have to be spent revisiting a number of titles and unfortunately a little sleep will likely be lost trying to decide just how to stack “Long Arm of the Law,” “Police Story,” “A Better Tomorrow,” “Peking Opera Blues,” “The Killer” and a number of other films. WOW this is my era and so it pains me to try and do this list, but I must I must theres some of the greatest movies ever in the 80’s. Ok, Ok no Titanic’s but for action movies 80’s ROCKED! AWWWWW — another LHKF.com ReaderVote Poll — Happiness!! Kozo, many thanks for doing this. Don’t know which is more fun — reliving the movies seen through the process of compiling your own list, or discovering new faves via the poll’s results! I do hope that people participate. Right now we’ve received 30+ entries, so getting over 50 by end of February should not be a big problem. As expected, choices skew towards the later eighties. Some extra love for early eighties Shaw Brothers would help the vote a lot! Hi Rangnarok, not sure what movie you’re thinking of. Maybe the 1992 film KING OF BEGGARS? Chow does get crippled midway through the film but fights back to take on the bad guys with “sleeping kung-fu.” As it’s a nineties film, it would not qualify for this vote. 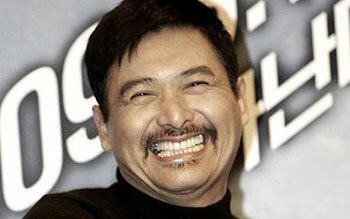 Otherwise, Chow’s output is largely the nineties, with the exception of a few films like DRAGON FIGHT or FINAL JUSTICE. Who can forget MY HERO? I think MY HERO is 1990, so we can’t count it. 1980-1989 only for this poll. Not like anyone’s list will suffer without MY HERO, LUNG FUNG RESTAURANT or WHEN FORTUNE SMILES. some shaw brothers love on the way, but one question, can i count Ann Huis Romance of book and sword and Princess Fragrance as one movie? Hi blgnse, I think it’s okay to count ROMANCE OF BOOK AND SWORD and PRINCESS FRAGRANCE as one film, as it was essentially one film cut in two. 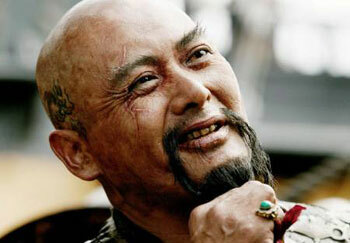 We did the same for RED CLIFF and also A CHINESE ODYSSEY. I may have missed the boat by not allowing it for ROYAL TRAMP. Still need to rewatch a couple movies before I send my list in. Kozo, how many lists have Mismatched Couples and Holy Flame of the Martial World so far! Saying how many lists would not be fair at this time, but both movies have shown up. Also, a tip: those movies that you think people are probably putting on their lists? Nearly everybody IS putting them on their lists. Great, have been waiting for this since the last poll. Didn’t think it would ever happen. Thanks Kozo for the efforts and work you are putting in this. Just hope that as many people possible will send their vote. Maybe a bigger reminder/ad on the main page would help ensure this? Anyways, hope that “ON THE RUN” (1988) will make it high on this list! Just submitted my list. This is my first vote, and Gee, I didn’t know it’s this hard. I kept on changing my mind, so I had to put a stop at some point. Hope many, many people participate and we get lots and lots of goodies! Hi Veronica, thanks for voting! Hi Richard, There’s just 5 or so days left to vote so I’ll remind people in Facebook and via Twitter. Have 70+ votes so far - not enough to get us a Top 100, but enough to make this a worthwhile vote. Maybe a Top 75 at least. A “Best of the 70s” would be tough. The 80s is understandably getting less response than either the 90s or the 00s. It’s just natural, considering availability and popularity of earlier films. Western popularity of HK Cinema (at least, beyond martial arts titles) doesn’t go that far back. This 80s list will be genre-heavy enough as it is. As for other types of lists, I might do one if it makes sense. 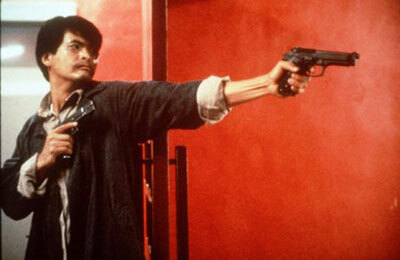 But for now, it’ll be this one and one more Reader Vote for TOP 100 HONG KONG MOVIES EVER. I’ll do that one probably closer to summer. And yep, ON THE RUN has been voted for. It was a ruthless task whittling it down to 20 films, and in the end I just had to fall back on my personal favorites ^_^ I may not have ranked them at the top of my list, but I hope that other cinephiles out there are giving proper love to some of the fine Cat III films the 80s produced! Thanks for putting this all together, Kozo - can’t wait to see the final results! I tried to do a top 20 list and then I realized that I remember lots of movies from the 70’s (mostly martial arts movies) and lots from the 90’s but I can’t remember any movies from the 80’s except few ones. Finally submitted my list! Can’t wait for the results! Thanks for doing another poll Kozo! I just wish I had some time to revisit movies and view new ones before making my list. However I’m sure the titles I’m thinking of will pop up. Finally sent mine in too. I was surprised at how many of my favorite Shaw Brothers films were made in the early 80’s, tilting my list in that direction and punching out most of the Jackie Chan-Golden Harvest-and Sammo Hung Golden Triangle from later on in the decade. And oh yeah, some guys named John Woo, Ringo Lam, and Tsui Hark also happened to be in top form during the decade as well. That left a noticeable imprint. I totally missed the boat on this one. So many to choose from. First half of 80s was Shaw Bros and the second half was amazing action. Just sent in my list! I’ve just realized that I watched a lot of HK films of the 80s and happened to be fond of quite a few of them. It was very, very tough for me to select top 10 or even top 20. I know for sure the popular films will safely get in the final list, so I decided to throw in a couple of underrated movies that I feel deserve to be recognized. By the way, Kozo, thank you for creating this poll! I appreciate it very much. I sent in my list last night and it was nearly impossible to get from 35 down to 20. I had no chance of getting to 10. There are so many movies that are just equally as good as each other! Thanks to KOZO for doing this again. Thanks everyone for voting! Polls are now closed. Time to start number crunching. Having forgotten “On the Run,” my list is totally ruined!